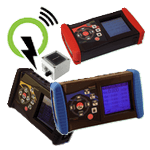 The MRH NanoVIP® ™ technology for distributed wireless portable measurement networks, offers the professionals a powerful energy measurement system that allows maximum flexibility and expandability. 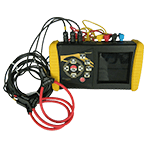 The NanoVIP® QUADRA™ measuring system allows the professionals to start from a single powerful Power Quality analyzer and then gradually extend it up to a complex heterogeneous multipoint system according to their needs. The system’s scalability enables user to modulate the extent of the investment as needed. The MRH ™ Remote Analyzers and accessories of NanoVIP® family allow users to adapt and extend the NanoVIP® QUADRA™ measuring system in order to meet the most demanding measurement requirements. 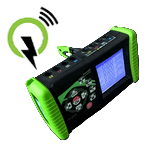 NANOVIP 2 and 3 are modern, powerful, portable network analyzer developed for professional analysis of consumption and power quality of the most complex electrical networks. They can be used on single-phase, two-phase, three-phase (balanced and unbalanced), low and medium voltage networks. The advanced features and analysis software supplied makes it a suitable tool to the most demanding professional needs. Polar Star was conceived, designed, built and tested entirely in Italy, and therefore manufactured with quality assurance that distinguishes European products, in the real environment and ethics. His communication skills allow its use in Elcontrol monitoring networks of any size and geographical location. Two available versions (Base and Top) allow to fit best any application requirement. 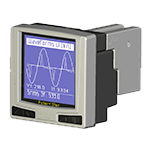 Sirio is a reliable multi-function meter in a 4 DIN module shape, ideal for measurement and display of the most important electrical parameters (up to 70). Sirio can be installed in single phase and three-phase unbalanced systems (triangle or star), via sturdy 4 mm2 terminals. It represent a cost effective terminal for remote monitoring networks. 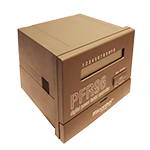 Digital controller PFR96 can manage up to 12 independent batteries, a communications port, and two current inputs in size from 96×96 framework. 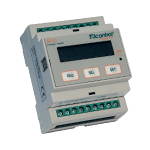 It can be easily programmed thanks to a basic configuration with just two parameters and an advanced one that allows advanced users to get the complete control on the power factor. STPF panels are designed for 400V 50Hz networks and products with 440V nominal voltage capacitors to ensure long lifetime even under continuous heavy operating conditions. They are particularly suitable for power factor correction of cabin transformer. 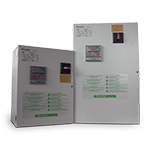 STP panels are automatic equipment handled by PFR96 digital controller and suitable for three-phase 230V and 400V 50Hz networks. 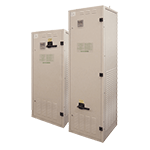 They can mount capacitors having nominal voltages of 230V, 400V, 440V and 500V to meet individual plant requirements. The availability of different types of capacitor allows STP frameworks to be installed in networks with harmonic component up to 60% of THDI, non-resonant. 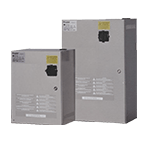 QR panels are automatic ones controlled by the PFR96 digital controller and made with capacitors having nominal voltages of 400V, 440V and 500V. They can be installed within networks with harmonic component up to 60% of THDI, non-resonant. ARCM, ARCM5H and ARCM7H panels are automatic/modular equipments managed by PFR96 digital controller, suitable for three-phase systems up to 400V 50Hz high power and high harmonic loads. 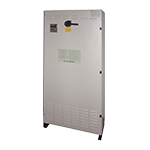 The ARCM panels have a wide variability of steps in terms of unitary power and they can be further expanded after installation by adding additional drawers. The experience gained in almost 60 years of history, combined with proven expertise in designing and manufacturing quality products, make Elcontrol a reliable partner in which customers can turn with confidence; more than 2 million products sold in over 100 countries and our presence in the major industry leaders catalogs confirm it.